Molded Plastic Counter Chair with Dowel Legs is made from an ergonomically molded plastic which ensures a high degree of comfort. 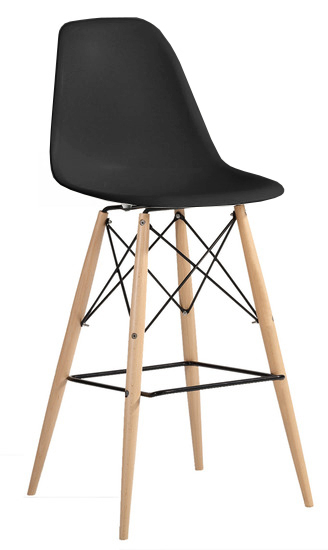 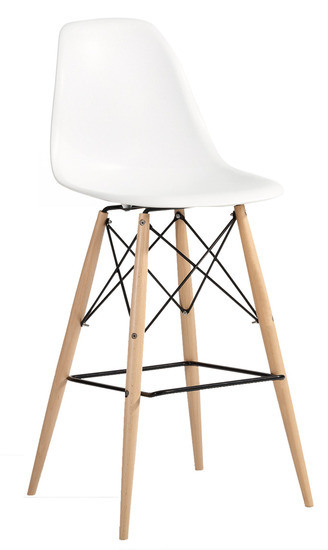 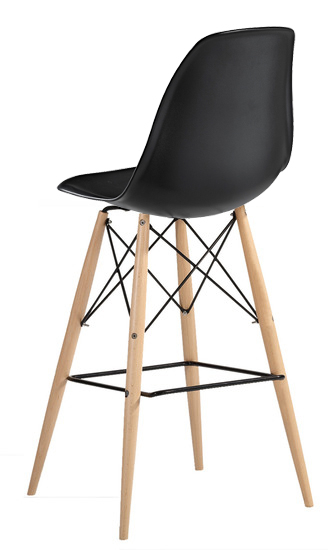 The wooden dowel legs give the molded plastic chair a softer feel, yet the metal rods connecting the legs hint at the geometric form that this chair's base is famous for. 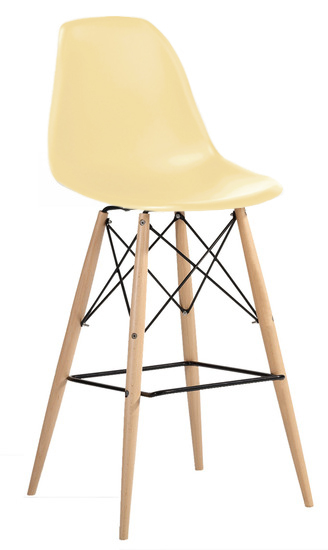 The Molded Plastic Counter Chair is a good choice for a wide variety of settings. -- Please Choose an Option --	18"W X 15.5"D X 40": Seat Height 25.5"